This Article proudly brought to you by: Skaters Network. The Pelicans managed to break their slump with a 5-2 win over the Sharks on Friday night. The Pelicans took a 2-0 lead off the sticks of Joshua Santana and Jonathon Spalding. Kevin Matheiu and Bruno Stolze tied the game up in the second period. Both teams were hungry for a win after the previous weeks losses, but it would be the Pelicans who broke free thanks to the “Jordans”. Jordan Williams pushed the Pelicans ahead with back to back goals to complete a scoring frenzy of a second period. Jordan Grover then netted the final marker in the third to give the Pelicans the big W and create a bit more distance between them and the Sharks in the standings. The Glaciers streak has ended and what a run it has been. The Sabres defeated the Glaciers Saturday night in Sydney 6-5 in a shootout which was forced by the heroics of Glaciers Corey Stringer with less than 30 seconds remaining. Caleb Butler was up to his usual tricks scoring two goals but his efforts were trumped by Ellesse Carini’s hat-trick after two periods of play and a 4-3 lead to the Sabres. Defenceman Daniel Pataky and Darcy Flanigan both contributing from the blue line for their respective teams. With his team down by one Corey Stringer kept the streak alive a little longer with a clutch goal to force the shootout. Manwarring and Pataky both scored in the shootout to continue their winning streak and put a stop to the Glaciers. The Wolf Pack and Whalers went head to head as well with Jonathon Hughes earning a shutout in a 6-0 win. The scoring was shared amongst the Wolfpack with five individual scorers Knight, Kubara (2 goals), Zvonicek, Pullen and Nadin. On Sunday the Sabres defeated the Whalers 4-0. Charlie Yole got his team off to a great start. Fraser Ohlson faced 32 shots and managed to keep his team in the game, but Liam Manwarring (2G) and Ellesse Carini continued their scoring streaks to finish a solid 4-0 victory. 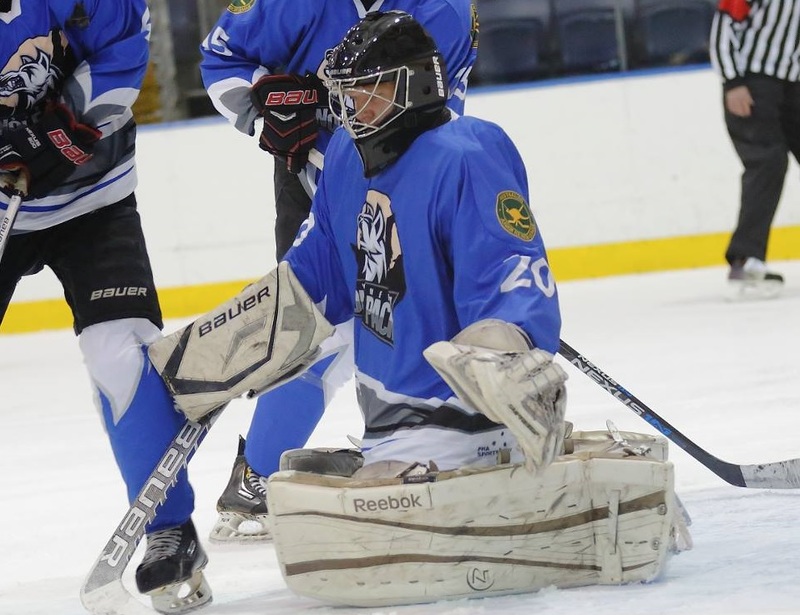 Secondary scoring and solid goaltending was the story of the Wolf Pack this weekend as they finished off their weekend with a 4-0 win over the first placed Melbourne Glaciers 5-1. The Wolf Pack scored four unaswered goals thanks to Charlie Fraser, Jackson Knight, Carter Lawrence and Nick Air.